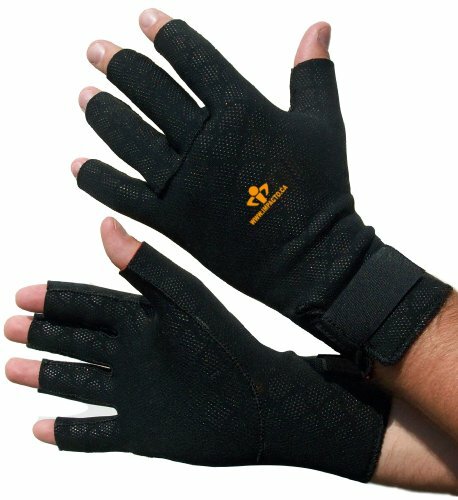 Anti-Fatigue Thermo Glove. Open finger design enhances tactile feedback. Stretch fabric maximizes hand mobility. Layered materials with anti-slip outer shell with soft inner lining. Adjustable hook and loop wrist closure. Manufacturer: Impacto Protective Products Inc. Publisher: Impacto Protective Products Inc. Studio: Impacto Protective Products Inc.
View More In Impact Reducing Gloves. If you have any questions about this product by Impacto, contact us by completing and submitting the form below. If you are looking for a specif part number, please include it with your message.